It definitely was interesting experiencing, my first official hurricane where I had to evacuate. Where I, this simple Caribbean man who just wants to get his wings, was in direct danger of the oncoming storm that was HURRICANE IRMA. After seeing what it had done to the beautiful island of Saint Martin and neighboring islands. I decided not to be a fool and leave, but how? Thankfully my flight school Wayman Aviation took great care of me, their students, staff and instructors. The whole Wayman fleet needed to be flown out from our two bases at North Perry and Opa Locka airport in Miami. I know the regionals are growing but jeez, we also have a big fleet. 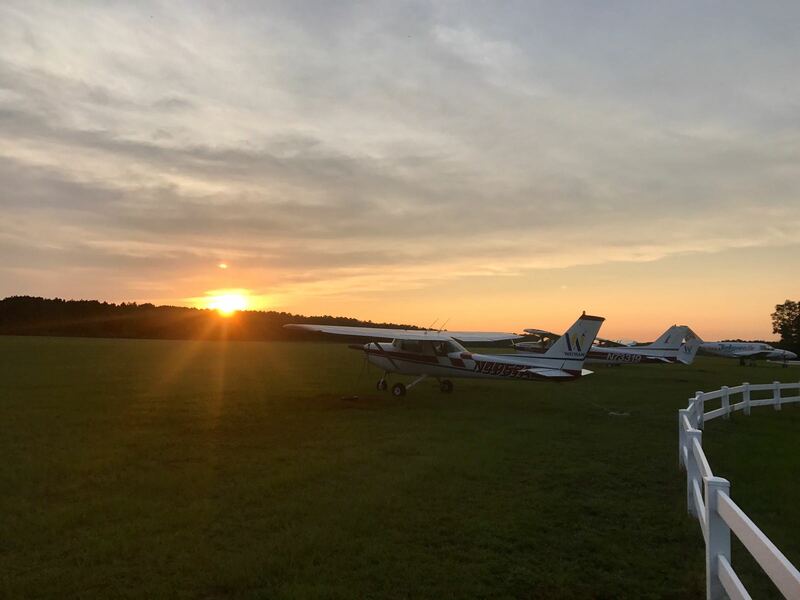 From our multi-engines to our pipers, to the cessna 172s and cessna 152s. The school needed a team of pilots to fly the fleet out. 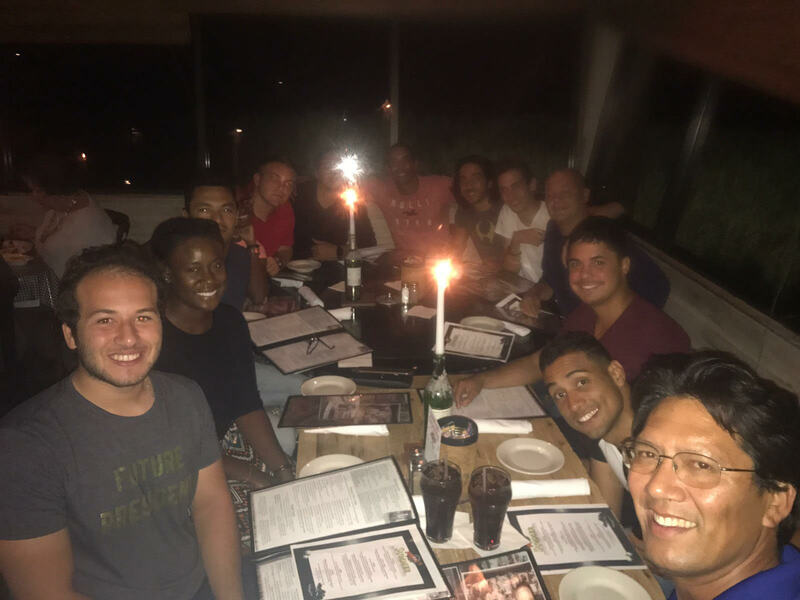 Since it was hard for me to fly back home to my island Curacao, and I still needed some hours to get to my commercial pilot requirements I volunteered to be part of the team. The plan was to fly to Williston (X60) refuel, and fly to Tallahassee (2J9) and see what IRMA would do from there. The route would take us more than 500 miles away from home. Our team consisted of private pilots, instrument pilots, commercial pilots and instructors. One of our female pilots Joanne, who will be doing her instrument check ride this month, stepped up and took on this cross-country in one of our Cessna 152’s, without a GPS and only using VOR’s. Well done Joanne! For me and my co-pilot Tolga (who is from Turkey, just shows all the diversity we have at our school.) it was a pretty smooth flight however, the airspace over Florida was so congested with people flying towards the North it was nearly impossible to get flight following. So we kept scanning and following the rules for visual flight. We touched down at Williston in the afternoon, fueled up and headed towards our last stop (so we thought) Quincy municipal. 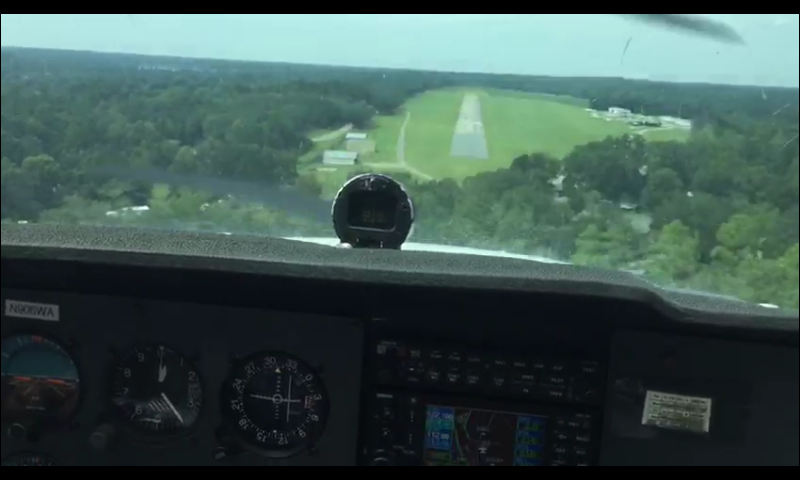 Flying this approach was a lot of fun, but requires short field landing skills with about -/+ 2700ft of available landing distance and a lot of trees at the beginning and end of the runway. The school arranged accommodations and a car for all of us in Tallahassee. We stayed the night, had some dinner at, according to Yelp, the best chicken restaurant in town. Which, trust me, it really wasn’t. Thanks yelp! The day after our vice-president treated us for lunch at this awesome pizza place called Momo’s with the biggest pizza slices I have ever seen. America just does everything bigger, I still have to get used to that. Irma shifted to the west and the decision was made to move the fleet farther to safety; to Alabama! Downtown Mobile Airport (KBFM) to be exact! Because of housing issues (Since the whole of Florida was traveling to the North) my co-pilot stayed put in Tallahassee with some other students. So I flew solo for the rest of the trip. The approach at Alabama was pretty interesting. 5 miles away I still couldn’t see the runway and airport because the sun was shining directly in my face, and I had my sunglasses on too. I trusted my instruments and training, called up the tower to double check I was on the right course and got in a right base for Runway 32. When I lined up I immediately got blown away by strong crosswinds. Time to put those skills into practice! I touched down but it wasn’t my best landing. 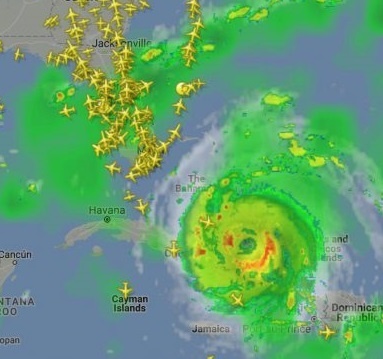 When I think about it now I should’ve called the tower and asked for another runway with more direct headwinds, lesson learned. Even though everything was within limits it was the safest option to ask for another runway. And that’s how I (think you should) fly; if there are several ways of getting to your destination, always choose the safest one. That’s the difference between people who just ‘fly’, and a good pilot in my opinion. In this case runway 36 would’ve worked better. We stayed at a nice little apartment in Alabama and met up with the Director of Flight Operations of our school. He took us out for dinner, which all of us really needed after so much flying. We had a great time! The day after we had time to go check out the USS Alabama, which is an impressive battle ship and museum. Then we got the call that we needed to head out to New Orleans, the other students were already there. This time we would drive there with the car, our fleet was secure in Alabama. We stayed in New Orleans for 2 nights, explored the city, ate some Gumbo and relaxed for the long flight back. This time we were to do it all in one day. 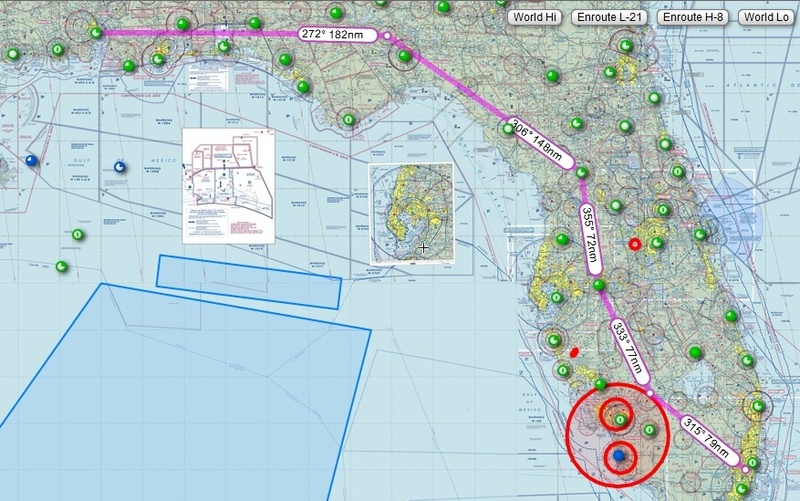 That’s a total of about 7 hours flying, with fuel stops. On the way back the plan was exactly the same, refuel and after that fly direct to North Perry Airport, our home base. The flight plan was exactly the same but the 172’s would skip the last fuel stop because they were able to fly direct to North Perry and have enough fuel to spare, so I thought and heard. While enroute to North Perry the 172’s split up with the 152’s and flew direct to North Perry. The group of 152’s had an interesting flight because the ATIS at Williston airport where they had to refuel said there wasn’t any fuel left. One of our instructors took the lead like a true Captain and made the decision to divert the group of 152’s to Ocala to get fuel there. However, there was some miscommunication because our school arranged a fuel truck for all of our planes to get fueled up. Yes, even for the 172’s, the group I was with. Eventually the 152’s got fueled up at Williston and the 172’s got back to North Perry with enough fuel to spare. But, was this the right decision to make as a pilot? I landed with about 1 hour and 10 minutes of fuel left. For me this was another great lesson. Even though I made my calculations and was in the safe zone, you can never have enough fuel, right? I would’ve rather gotten fuel and landed with 2 ½ hours of fuel left. Because well, that’s just safer. Like I said before; there is a difference between somebody who just flies, and a good pilot. That difference is to be able to make the right decisions at the right time, that’s just something that comes with experience. And that is exactly what this whole trip has been, a great learning experience.